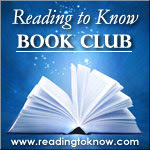 This past month the book club was scheduled to read My Man Jeeves (or the title of your choosing) by P.G. Wodehouse. Cassandra from Adventist Homemaker chose this title and, as she explained, she selected it because her father-in-law recommended it to her. As you can no doubt attest, we book lovers love a good book recommendation from someone that we know and love. I thought it was wonderful that Cassandra wanted to read something that her father-in-law recommended to her! Reading a loved one's suggested titles creates an additional bond through literature. Reading such a book can frequently deepen a relationship - as it helps you to see things through their eyes, to catch a glimpse of their sense of humor, and/or helps to explain the way that they think. You learn more about what makes your friend or loved one "tick" in a way. If you aren't exactly sure what I'm talking about, then I'm rather sorry for you, actually. Usually at the conclusion of a book club read, the person leading the discussion returns to summarize their thoughts on the title. In this case, Cassandra should be writing this blog post. Instead, I'm offering a closing remark due to the fact that Cassandra's father-in-law passed away last week. Your prayers for their family are greatly appreciated at this time as she and her husband grieve the loss of his presence with them. Wodehouse is a jolly writer and, if you read (or re-read) him this month you know that he is very witty. Wodehouse produces laughter which is most welcome. His books are a delightful escape from "every day life." If you want to take just a few moments to relax with an author, Wodehouse is a good pick and we do hope you enjoyed his stories this month. But just as there is a time to laugh, there is also a time to weep with those who are weeping. Today we weep with Cassandra. Please do pray for Cassandra, her husband, and her mother-in-law as they adapt to their new normal. It is a very sad time for them. Of course, if you read Wodehouse and wrote up a post about your reading experience, please do link that up below. We are still very curious and happy to read your thoughts. I'm finishing up my Wodehouse title for the month and when I finish I'll write up my thoughts and link back to this post. I'm so sorry to hear about Cassandra's f-i-l. :( Especially poignant to me because my own f-i-l had heart surgery last week, and I'm greatly aware that it could have gone either way. But by the grace of God he made it fine. This was my first adventure with Wodehouse but I enjoyed him and would like to read more! I'm thankful for the challenge because I might have continued putting him off, and thus missed his entertainments. Oh! My sincere condolences to Cassandra and her family! My heart goes out to Cassandra and her family. It's neat that she had such a relationship with her father-in-law that she wanted to read what he recommended. What a terribly sad occasion. 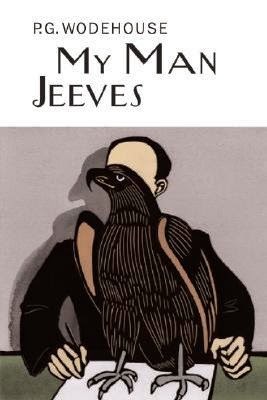 I'm so glad that Cassandra's father-in-law recommended Wodehouse to her though, because I greatly enjoyed revisiting Jeeves and Wooster through this collection of short stories. I finally got my review up this afternoon. I'm sorry to hear about Cassandra's father-in-law. Sounds like he left a good reading legacy with his family.